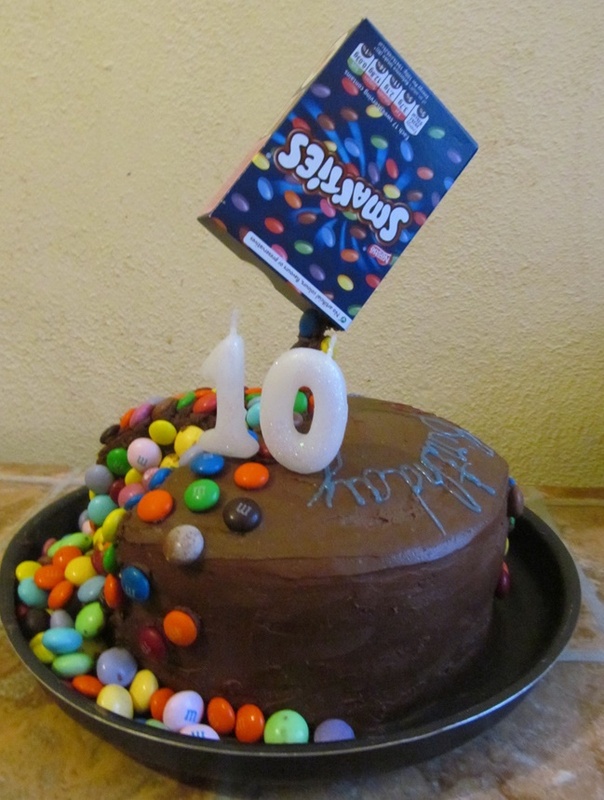 This week was my older son’s 10th Birthday so I took this opportunity to try my hands at a “gravity cake” which I have fancied doing for quite a while… As I got to do what I wanted on the outside, he got his wish for the inside: Custard cakes sandwiched together, without the fruit! 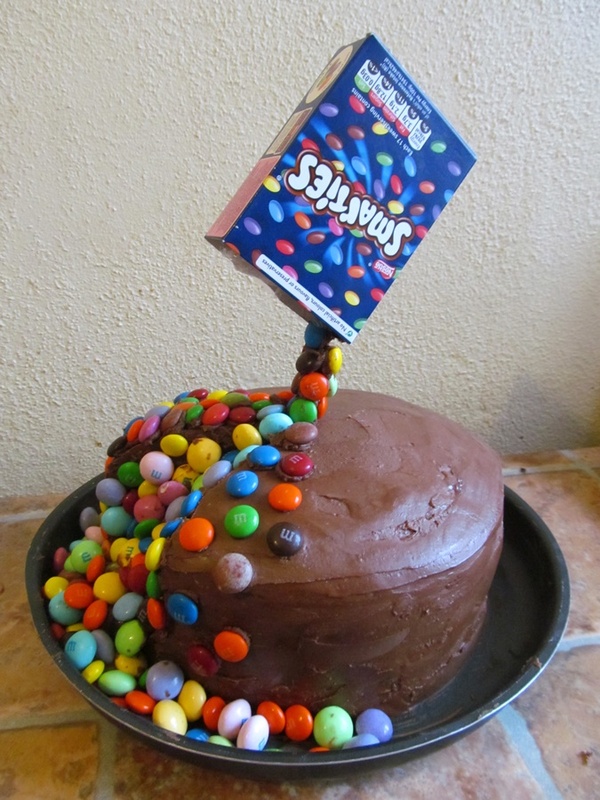 This post isn’t so much about the recipe as I have already posted it! 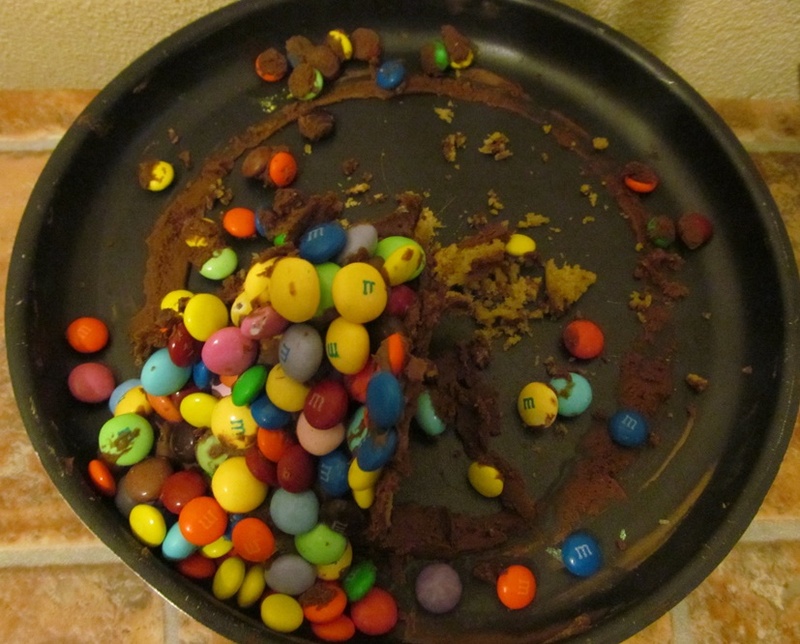 But more of my step by steps effort to achieve the cake and I must admit, I was quite pleased with the end results…. 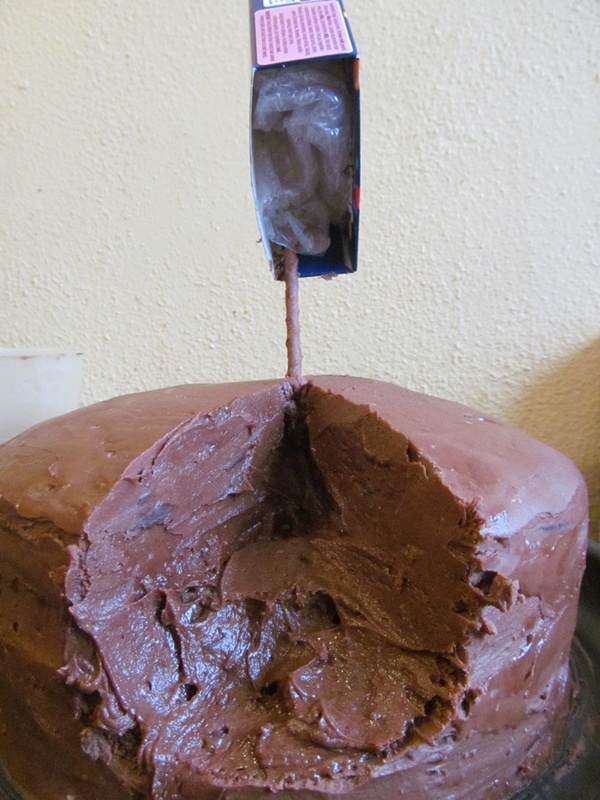 Step 2: On the day, I cut a wedge out, at an angle, allowing me to quality control the cake at the same time! I had kept some buttercream to cover the hole, and it doesn’t matter if it doesn’t look pretty! 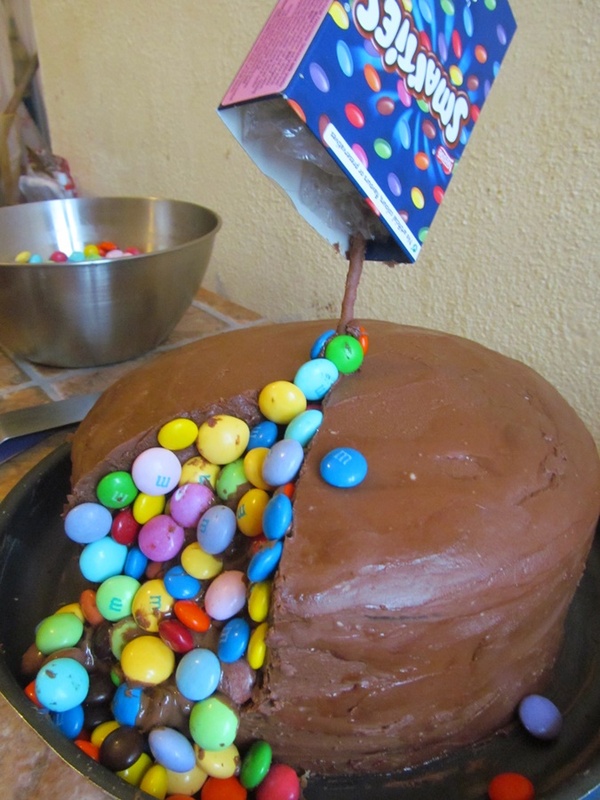 Place your wooden stick in the cake and in the box (you can also use a pouch, filled with cotton or else, I used bubble wrap, so the stick doesn’t move) at an angle. 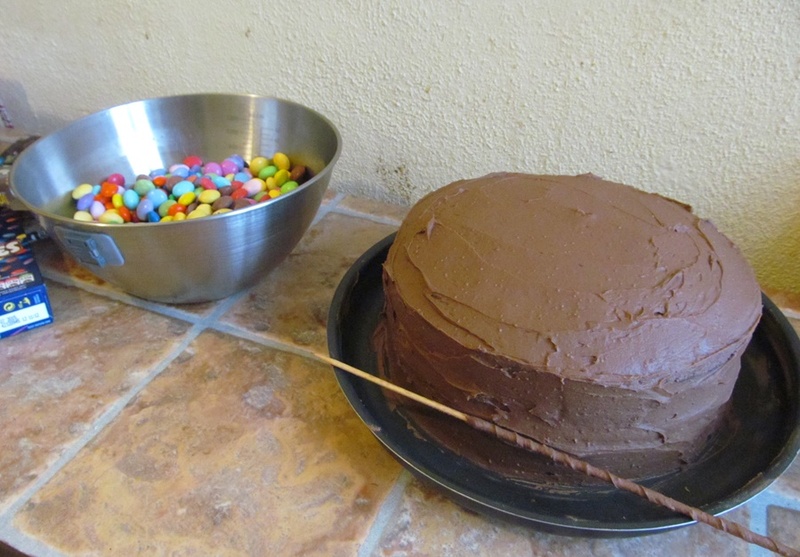 Step 3: at first, you can just drop the chocolates as they are, they will stick to the buttercream. As you add more on top of each other and onto the stick, I used plain melted chocolate, cooled down so it’s thickened, as glue. Et voilà! Really not much to it and well worth the effort! And so were his friends! I didn’t even get to try some!